Choosing a new CEO is rarely an easy or straightforward task. During periods of change, board members tend to reach for certainties. They want to know that the candidate they choose has the experience and charisma needed to chart a profitable course for the business, create an effective company structure, and instill a positive culture. As a result, they often gravitate towards current or past CEOs or business unit leaders. However, board members can overlook a potentially promising candidate — their current CFO. The pick might seem unlikely. CFOs can be stereotyped as inwardly focused and concentrated on accounting and capital structure. Unlike most other CEO candidates, financial officers rarely have the chance to distinguish themselves as strategic decision-makers before the company board. Due to this dynamic, many otherwise qualified CFOs don’t stand out in the interview lineup as clear picks for a CEO position. I have also found that some directors believe that a CEO has to be a proven operator. But CEOs do not operate businesses. Generally, they drive culture, lead strategy, and interact extensively with the board and shareholders. According to a report published by Crist/Kolder Associates, a well-known executive search firm, a full quarter of surveyed CEOs reported having previous experience working in a CFO role. 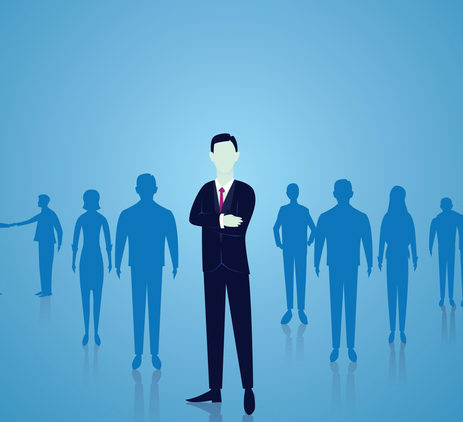 This variety of executive leader is understandably most common in the financial services sector; however, the above-mentioned study also found that former CFOs are well-represented as leaders in the industrial, technology, and energy industries. Interestingly, the data suggested that these leaders tended not to be promoted directly from CFO, but that they used that job and other finance-adjacent positions as stepping-stones toward the CEO role. The CFO role provides much of the training that an aspiring CEO would need to thrive as a business leader. A quality CFO has sturdy connections to financial leaders on Wall Street and a high degree of proficiency as an interdepartmental communicator and coordinator. The very nature of this work provides a broad understanding of the company. A CFO, more than any other internal candidate, knows precisely how any given strategic move will impact the company’s finances. Moreover, the methodical, data-driven approach to problem-solving that earned CFOs their reputation as “number-crunchers” is valuable — and can be as valuable than more traditional, vision-driven leadership. For example, in the era of big data, having a CFO who can delve into information and emerge with actionable insights is undeniably valuable, especially as the global markets for every sector increase in complexity. CFOs bring a great deal to the interview table. Yet, fewer than 1 in 10 (7%) CEOs achieves their position after a direct promotion from CFO. The problem at hand isn’t that the CFOs lack confidence; in fact, one joint study conducted by Duke University and CFO found that a full 65% of CFOs believe that their jobs adequately prepares them for the CEO role. The problem isn’t that CFOs lack the drive or skill set to become capable executive leaders. Rather, the issue lies in empowering CFO candidates to surpass their often-assumed role limitations and take on the big-picture leadership, thinking, and decision-making that the CEO’s role demands. In my experience, individuals who work their way up the corporate ladder via accounting, finance, and planning often tend to gravitate towards lower-risk endeavors. Their instincts can push them away from the major topics of strategy and culture. CFOs who want to break into executive leadership need to establish themselves as enterprise leaders. The growth process also demands that CFO candidates acquire complementary skills. While the CFO role provides ample opportunities for learning how to be methodical, data-driven thinkers and interdepartmental operators, it can isolate a CFO from other necessary aspects of leadership training. In the above-mentioned study from Duke University and CFO, many participating CFOs expressed feeling underprepared for the CEO role, citing their lack of necessary exposure to operations, sales, marketing, and strategy development. A CEO candidate will have to actively seek out leadership training and use intra-company connections to learn more about how the work of each department contributes to its overall function and strategy. Other important characteristics for a CEO are character and credibility. Character can be shown — or not — in the CFO position. Credibility is difficult to distill into a definition or practice, but it is relatively easy to spot. If a candidate has it, their subordinates, peers, and superiors can identify it. Being a credible leader means having ironclad ethics, thorough knowledge of the business, and a passion for transparency. Most importantly, executive leaders need to be unafraid to admit when they don’t know something. When it comes to choosing a new CEO, it can be tempting to pick someone who has been in the role before. However, a résumé alone does not guarantee the best — or even competent — leadership. Board members should consider their own CFOs as candidates for the CEO, if only because they are uniquely attuned to the needs of the company and have the potential to propel it further than even a veteran CEO might. CFOs are more than their stereotypes suggest, and board members should think twice before counting them out as executive leaders. Jonathan F. Foster is the founder and a managing director of Current Capital Partners LLC. He has more than 30 years of experience with financial service firms as both an adviser (mergers & acquisitions and capital raising) and as an investor (private equity) focused largely on industrial services companies.